Sawai Madhopur, Rajasthan, India: Bhola, Krishna's gentle male cub. This image is from Clash of Tigers. 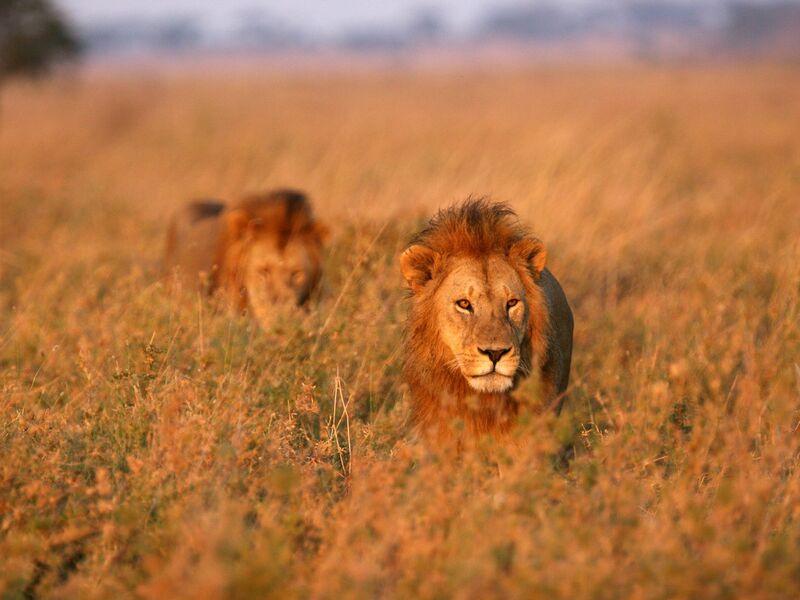 Two big male lions walk in tall grass. This image is from Regime of The Queen. 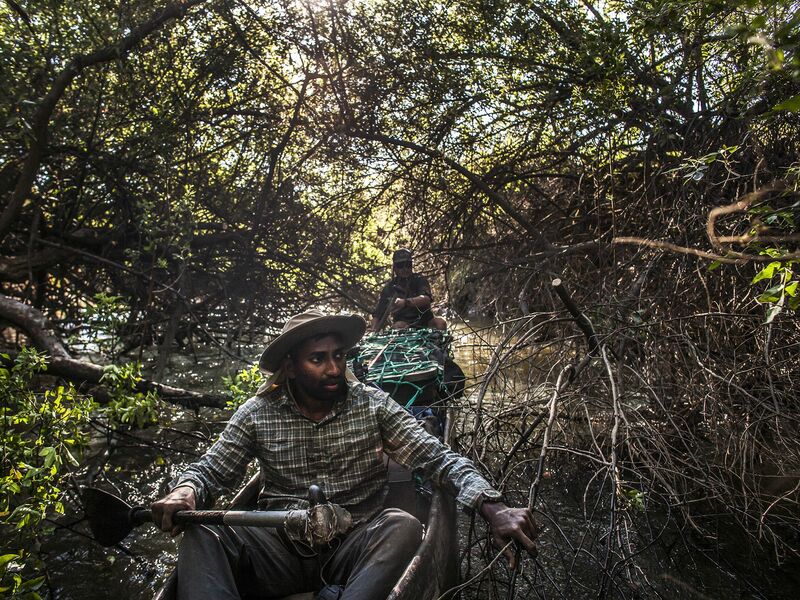 Angola: Abhi Ravivarma uses branches to guide him through a thick blockage along the Cubango River. This image is from Into the Okavango. 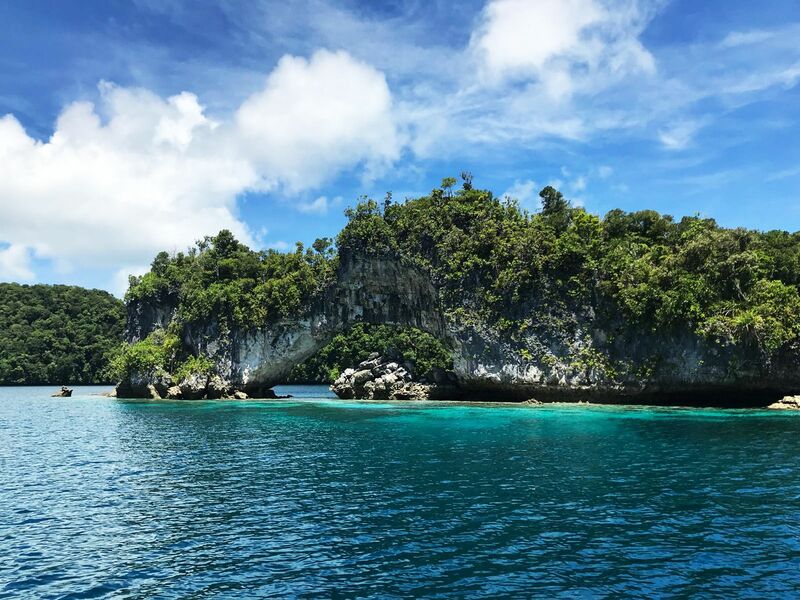 Peleliu Island. This image is from Nazi Megastructures: America's War. Sawai Madhopur, Rajasthan, India: Teera almost stands up to her full height on her hind legs to intimidate her sister Bijli in their fight for the fort-lake territory. This image is from Clash of Tigers. 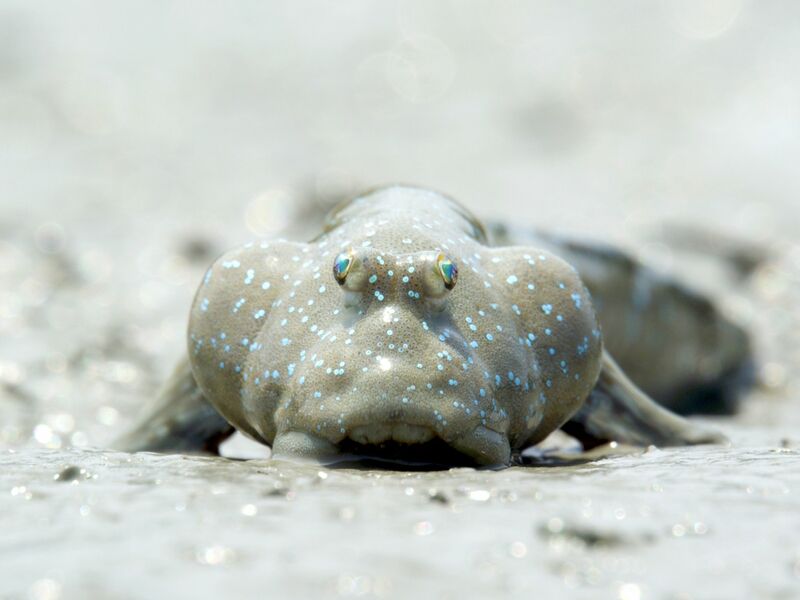 Korea: Bluespotted mudskipper at the Suncheon Bay. This image is from Wild Korea. Selinda Reserve, Botswana: Two Mothers cross the next morning for the 2 cubs on the opposite river bank. This image is from Birth of a Pride. Botswana: A group of elephants in the Okavango Delta wades through water that floods the delta annually flowing down from the Angolan Highlands. 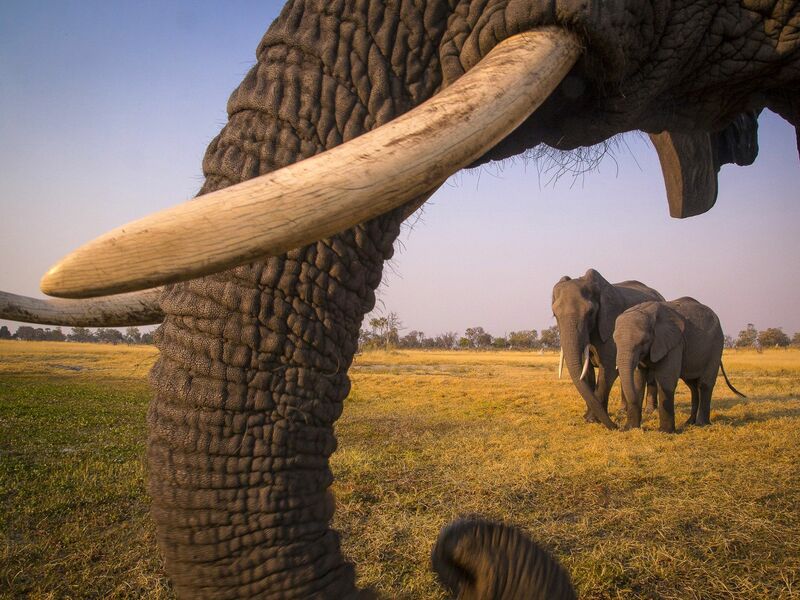 There is a massive population of relatively safe African elephants in the delta with numbers anywhere from 250-700k. Because of Botswana's aggressive anti-poaching laws, much of the deltas wildlife is kept safe. This image is from Into the Okavango. 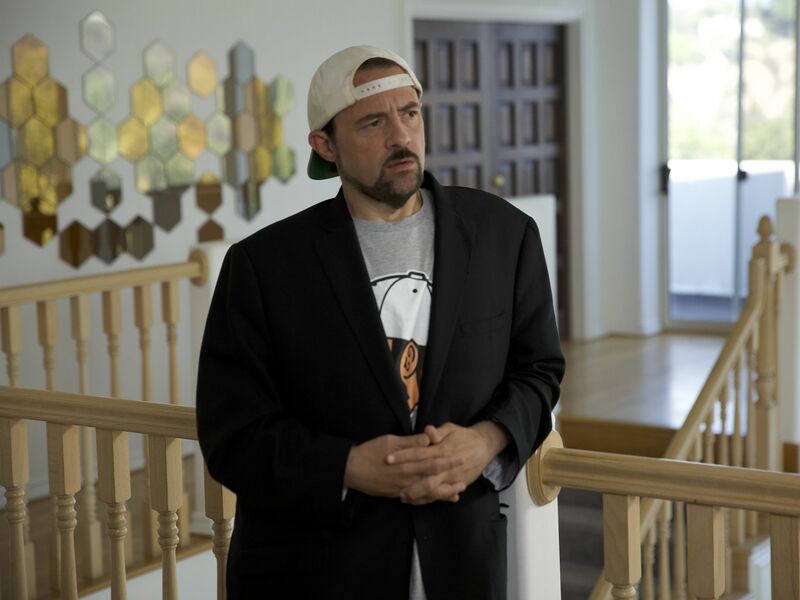 Sherman Oaks, CA: Kevin Smith thinks the Internet has made us collectively smarter than any previous generation. This image is from 1989: The Year that Made the Modern World. 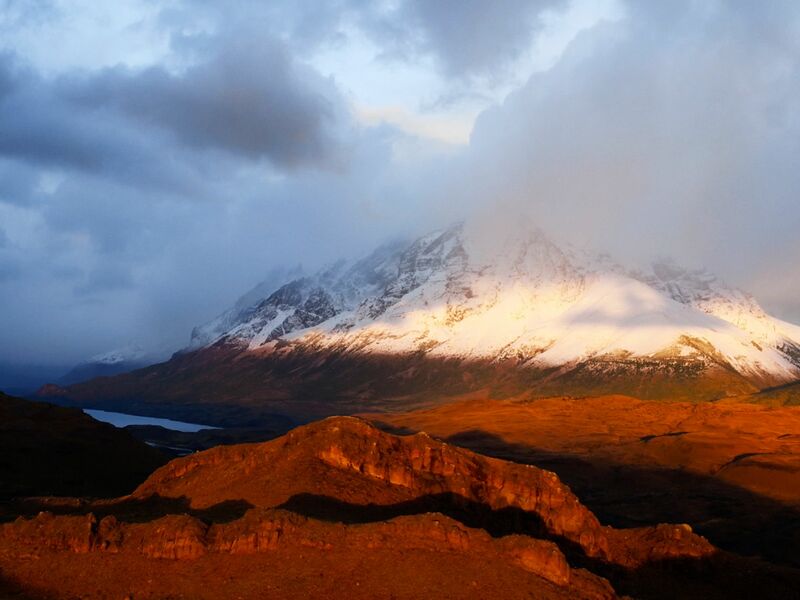 Torres del Paine National Park, Chile: Torres del Paine mountain looming in the distance This image is from Man vs. Puma. 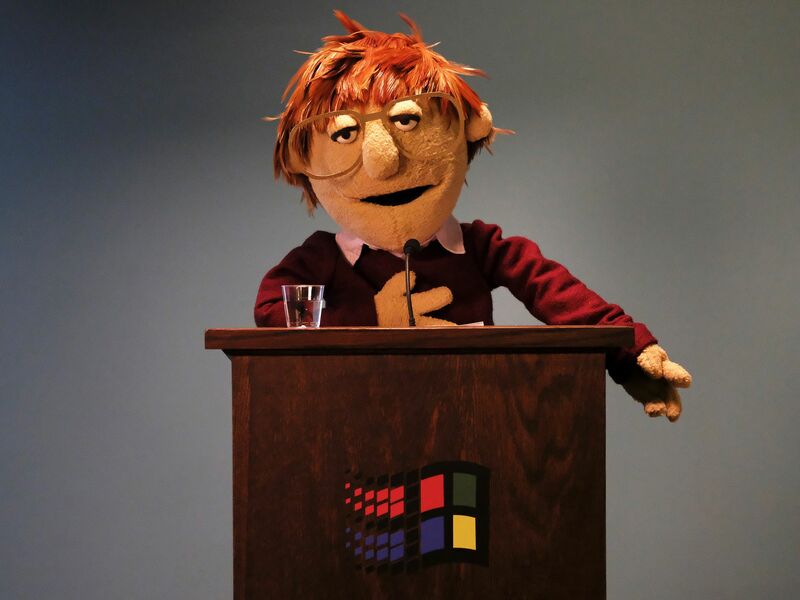 Puppet in National Geographic's Valley of the Boom. 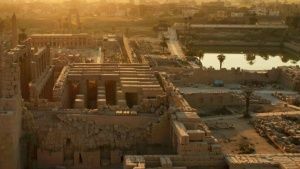 This image is from Valley of the Boom. Sawai Madhopur, Rajasthan, India: Krishna's three cubs - Teera, Bijli and Bhola against the back drop of the Rajbagh ruins. 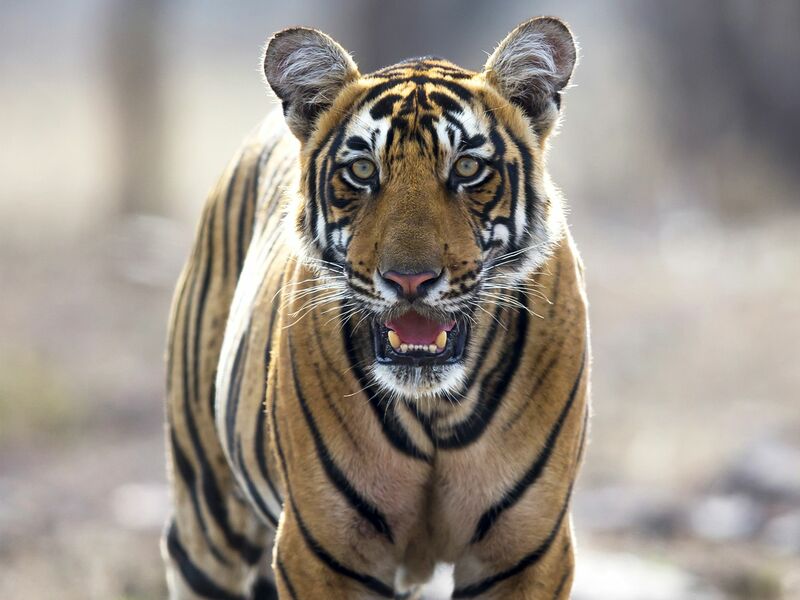 This image is from Clash of Tigers. 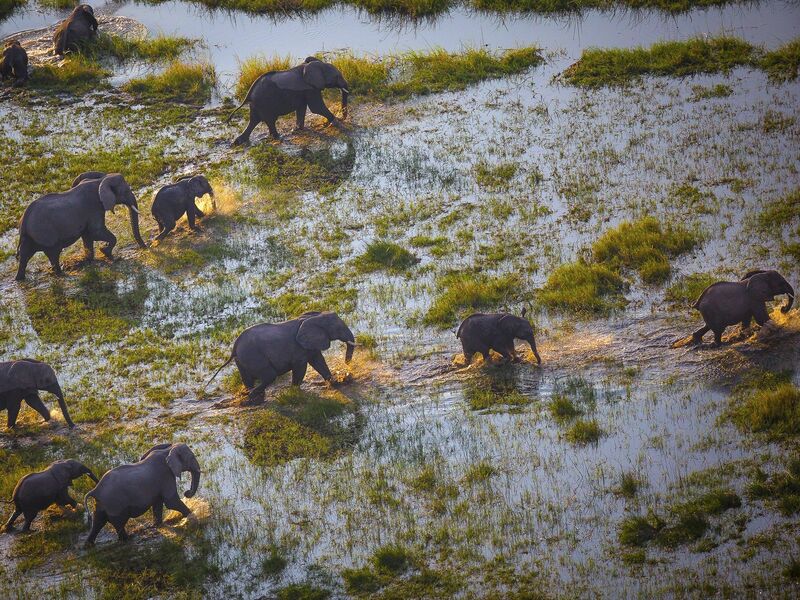 Botswana: Elephants by the Okavango River. This image is from Into the Okavango. 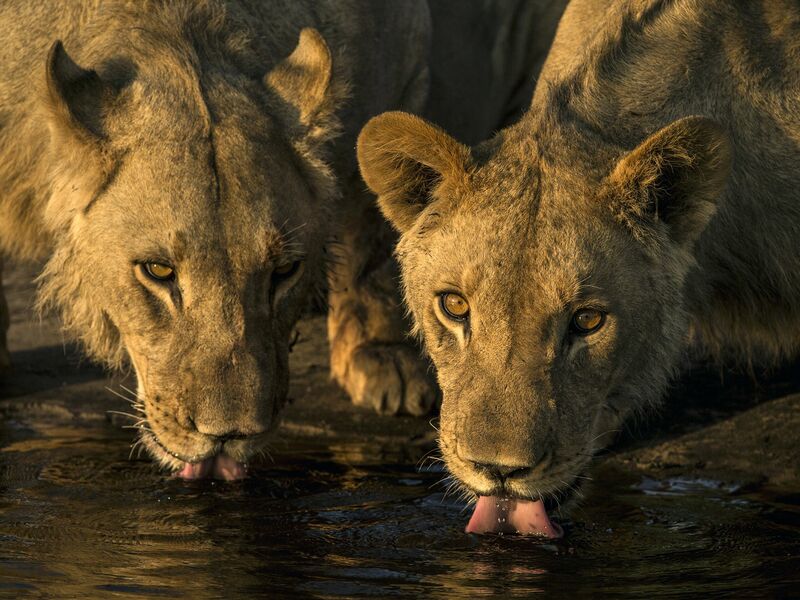 Selinda Reserve, Botswana: Young male lions (Panthera leo) drinking from a spillway. This image is from Birth of a Pride. 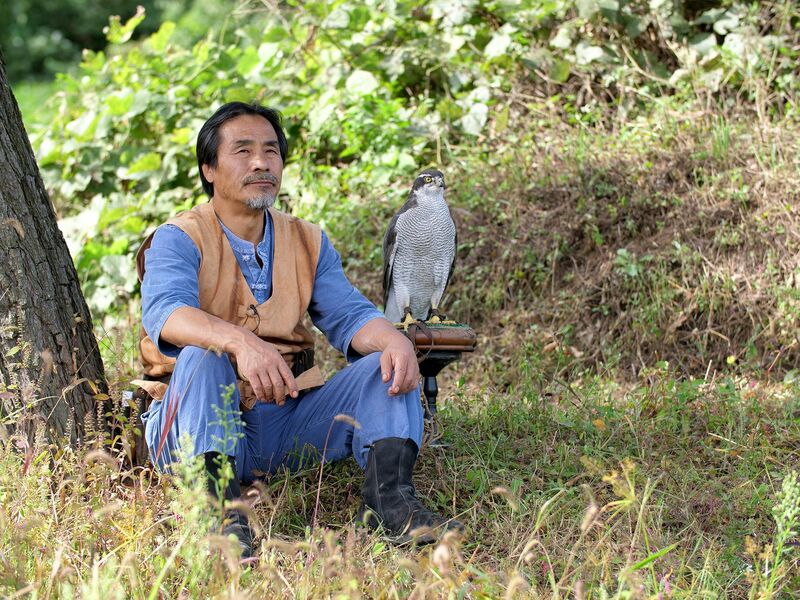 Korea: Falconer and Goshawk sitting beneath a tree. This image is from Wild Korea. 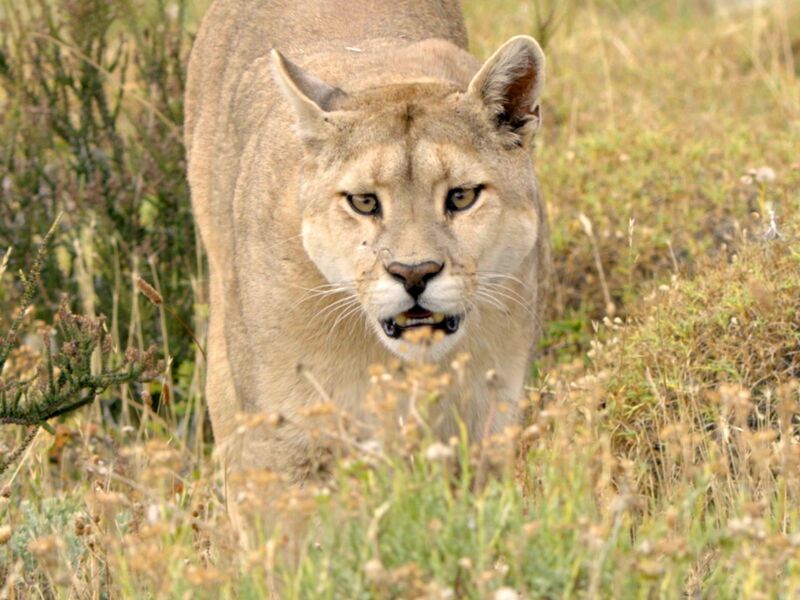 Torres del Paine National Park, Chile: Puma walking towards camera. This image is from Man vs. Puma. 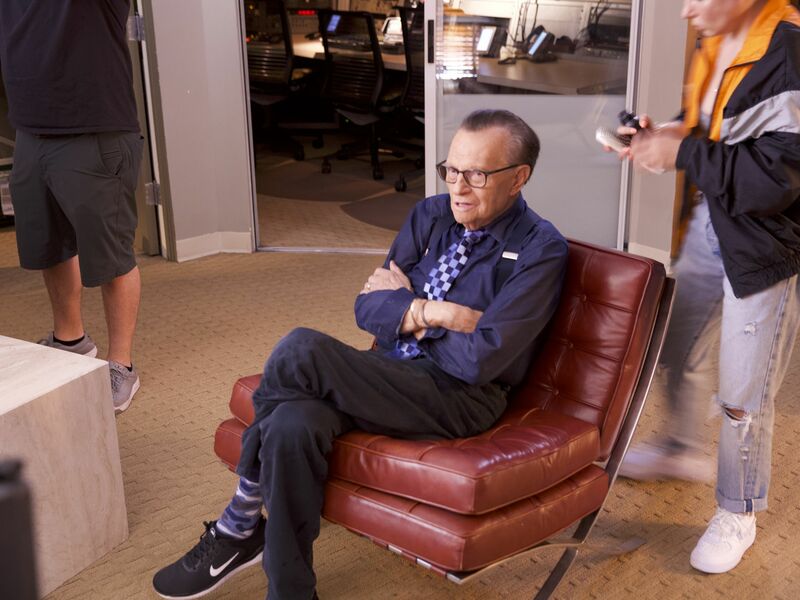 Los Angeles, CA: Larry King is seated as the crew sets up. Larry King has been a reporter for 30 years, and had several notable interactions with Donald Trump during the Central Park 5 case. This image is from 1989: The Year that Made the Modern World. Hazen Audel crossing river with reindeers. 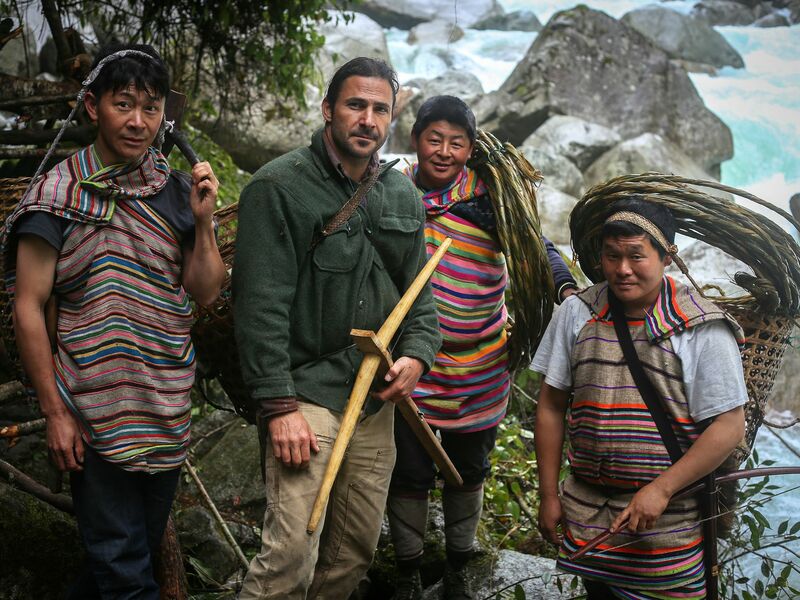 This image is from Primal Survivor China. 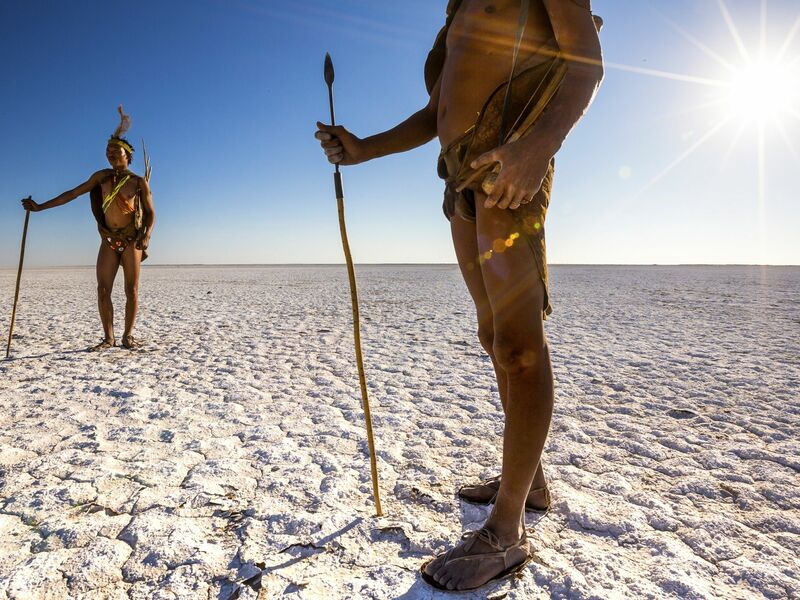 Botswana: Xoma Xkgao and Xoma Xwii traverse the Makgadikgadi pans as a bush walk for tourists as a part of bush experience. This image is from Into the Okavango. 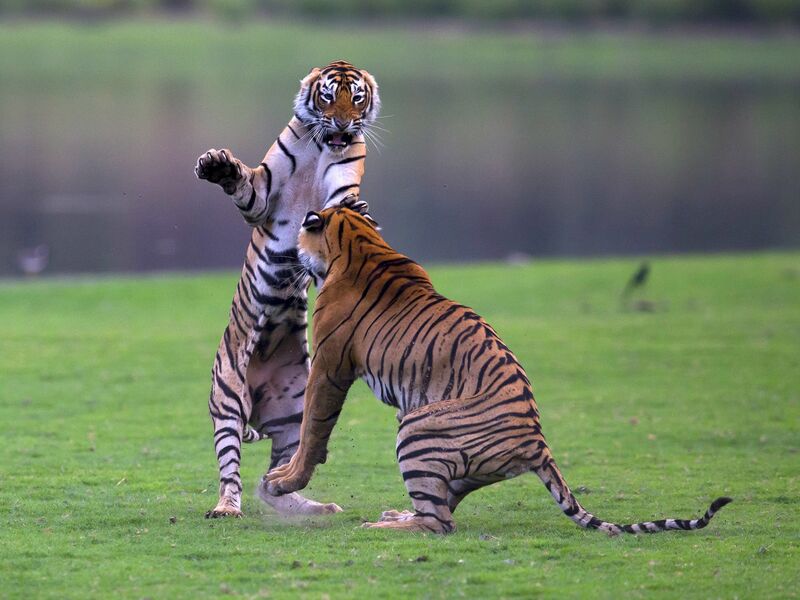 Sawai Madhopur, Rajasthan, India: Bhola, Krishna's male cub from her second litter is seen playing with his mom. This image is from Clash of Tigers. 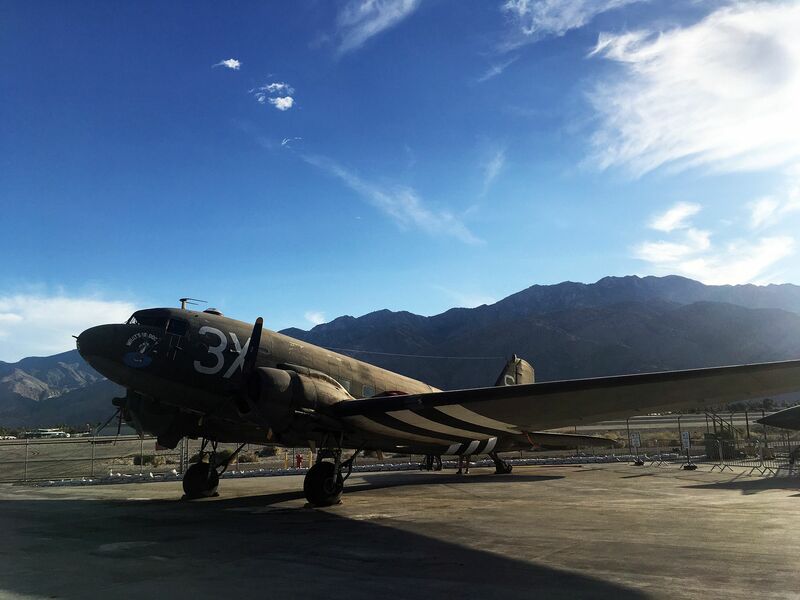 Palm Springs, CA: C47 Plane at Palm Spring Air Museum This image is from Nazi Megastructures: America's War. Dulong Valley, Dulong: Hazen and Dulong brothers before the zip-line build. 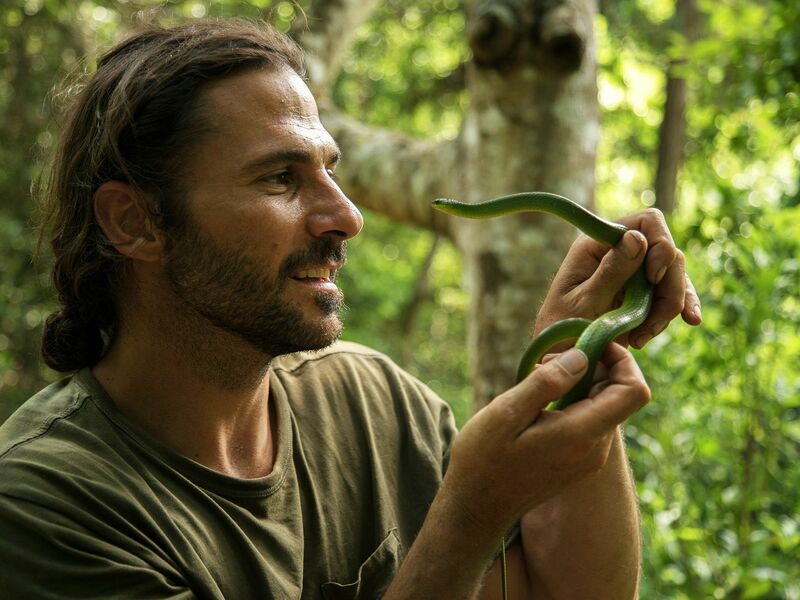 This image is from Primal Survivor China. Selinda Reserve, Botswana: The two male lions (Panthers leo) bond quickly with their cubs, which not all male lions do. This image is from Regime of The Queen. 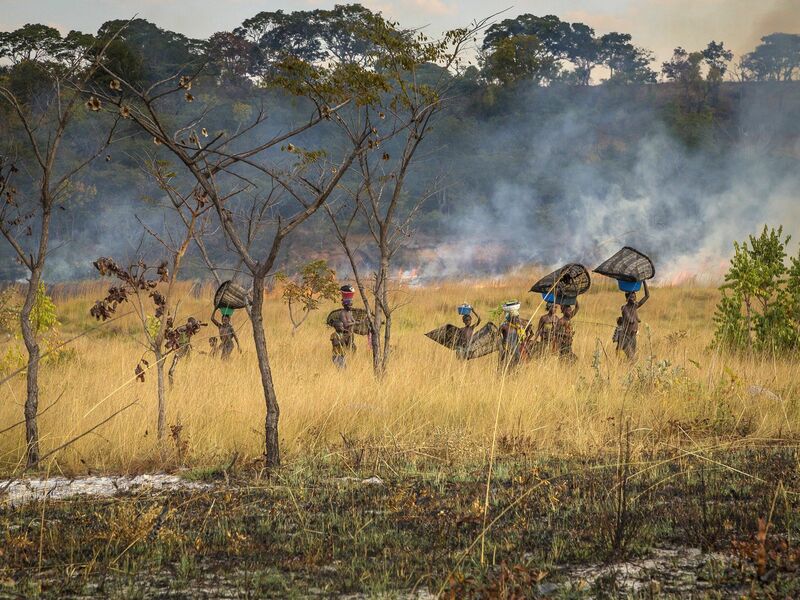 Angola: A group of Angolan locals carry fishing nets as a bush fire rages on behind them. 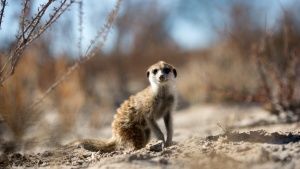 This image is from Into the Okavango. 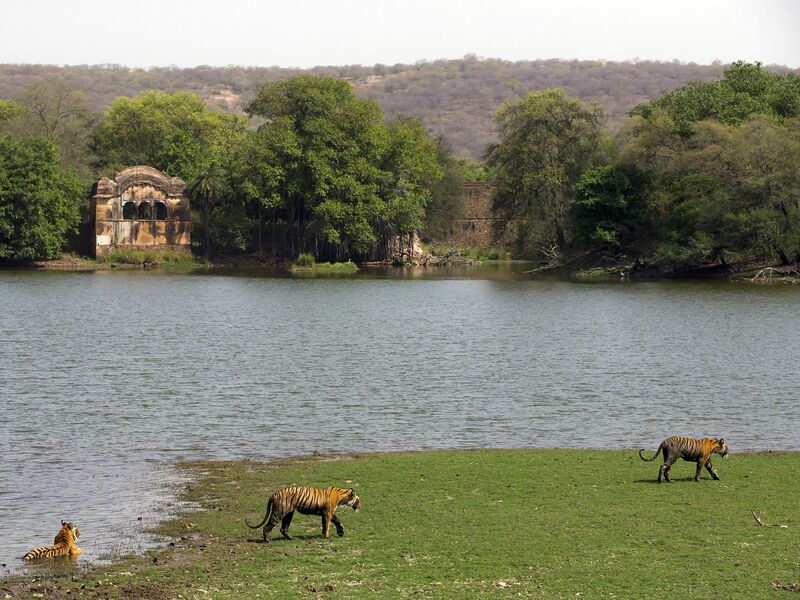 Sawai Madhopur, Rajasthan, India: Teera races through the shallow water of the lake while Bhola watches her. 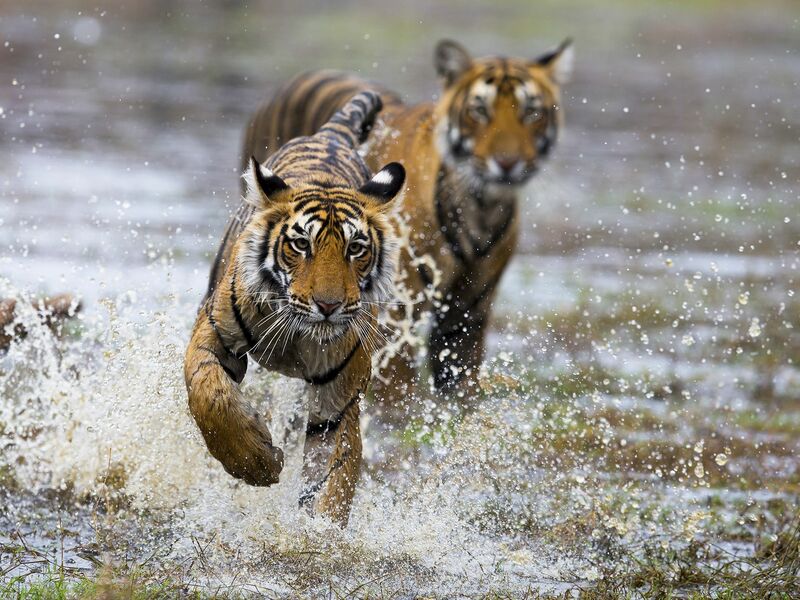 This image is from Clash of Tigers. Biasha, China: Hazen holding a snake. This image is from Primal Survivor China. 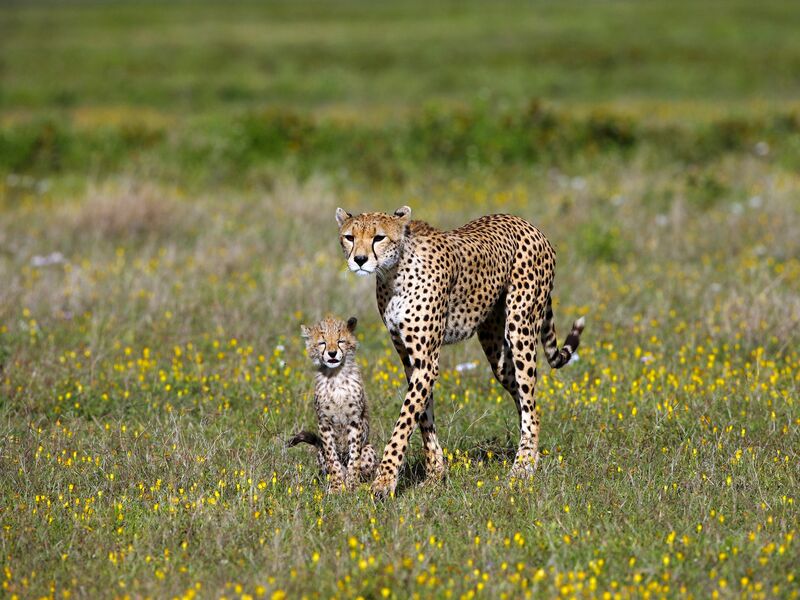 Serengeti/Massai Mara: The life of a young cheetah is dangerous - often other predators kill the cubs of their competitors. This image is from Regime of The Queen. 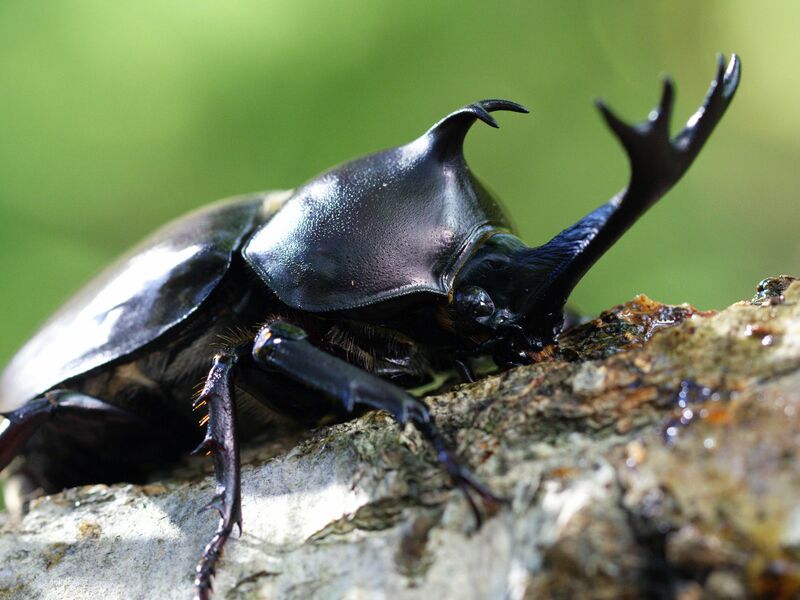 Korea: Male Rhinoceros beetle. This image is from Wild Korea. 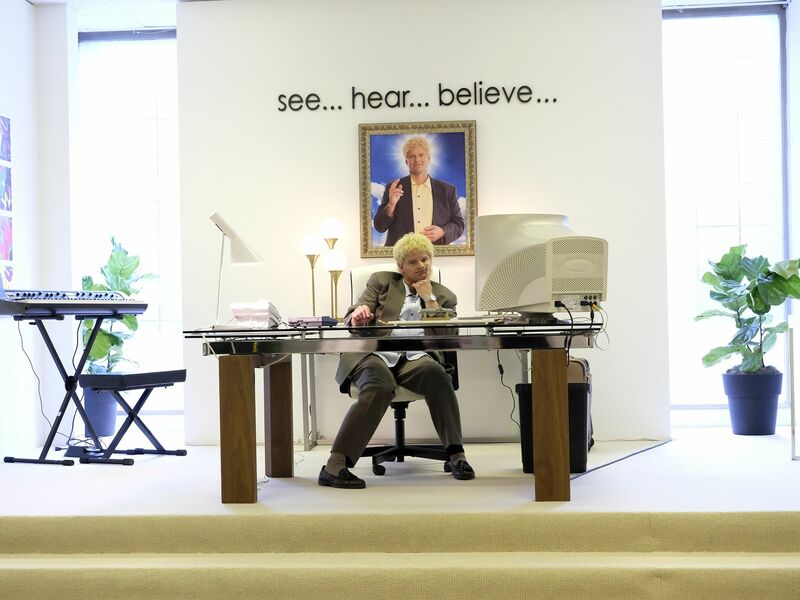 Steve Zahn as conman turned dot com founder Michael Fenne. 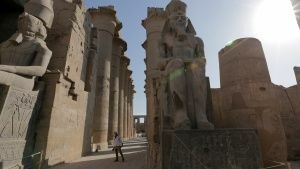 This image is from Valley of the Boom. 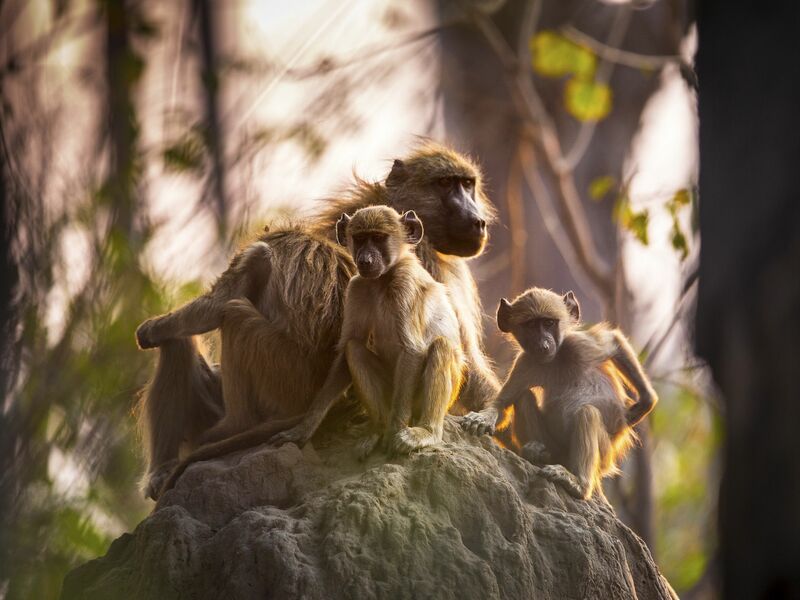 Botswana: A family of baboons sit a top a termite mound with the last light of day approaching. Termites are the builders of the Delta. With their mounds, small deposits of sediment can then collect over the millennia to form the islands that give harbor and shelter to the vast array of species that live and visit the Delta. 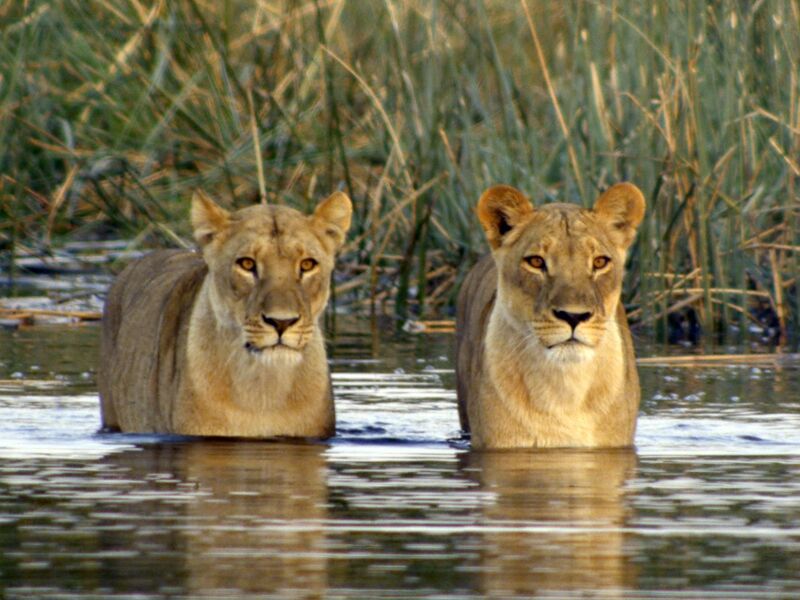 This image is from Into the Okavango. 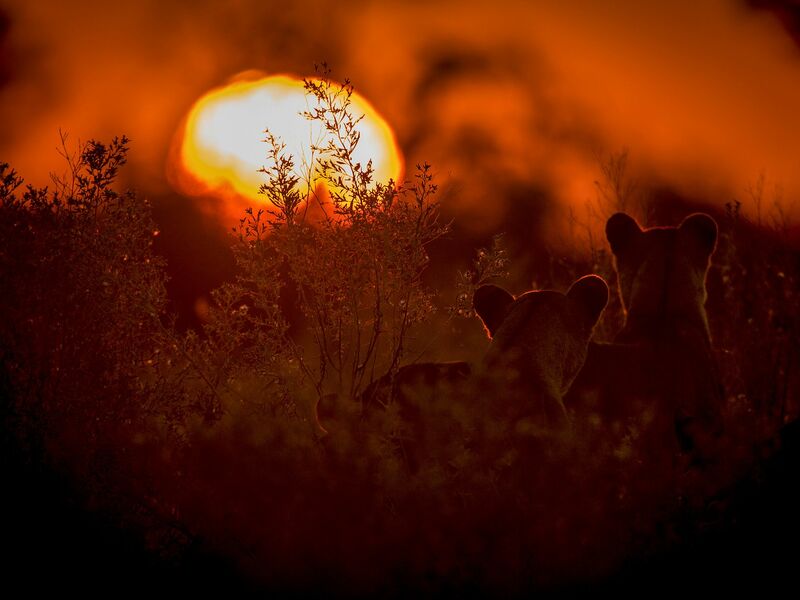 Selinda Reserve, Botswana: Mother and daughter lionesses (Panthers leo) are inseparable, and lethal hunting duo, so as the sunsets they set out in search of prey. 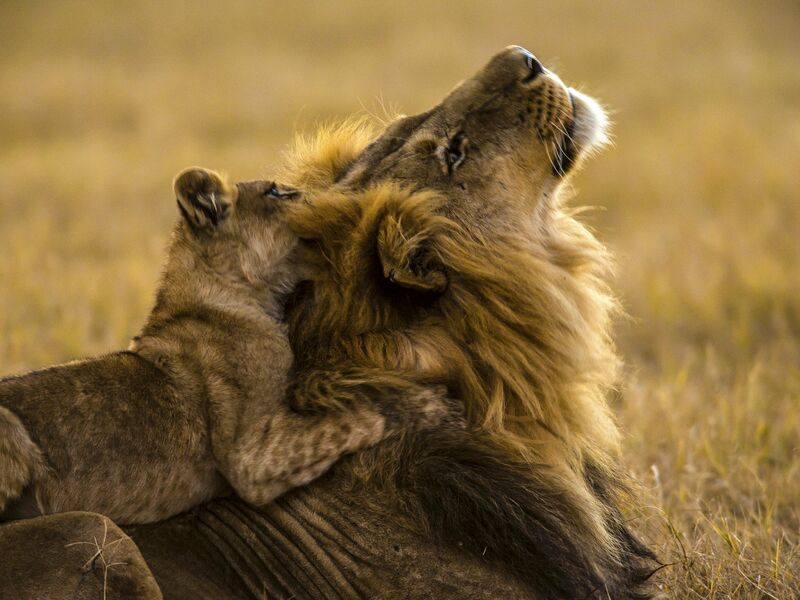 This image is from Birth of a Pride.